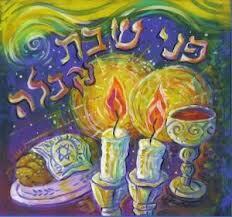 The Jewish holiday of Shabbat is a joyous occasion celebrated every Friday night to Saturday night. Shabbat commemorates the creation of the world, as the world was created in six days and the seventh day was the day of rest. Shabbat is a special time for people to come together each week to be with family and friends, to rest, to think, to share, to sing, and to have a good time. The observance of Shabbat begins with a traditional ritual that includes blessings while lighting candles, drinking wine, and eating challah. for special events service begins at 7:30 pm. Please check main calendar to confirm time. Summer months SHJC celebrates Kabbalat Shabbat differently with music and appetizers to welcome in Shabbat. Saturday morning service begins at 9:30 a.m.
We are happy to celebrate special occasions – birthdays, anniversaries, trips to Israel, etc. with an aliyah to the Torah! Please contact Ritual to arrange. For services especially geared to children and families, see our section on Youth and Family Services.